NEW! FREE Invite to view cards! is more than just a catch phrase, we listen to what you want and provide it! 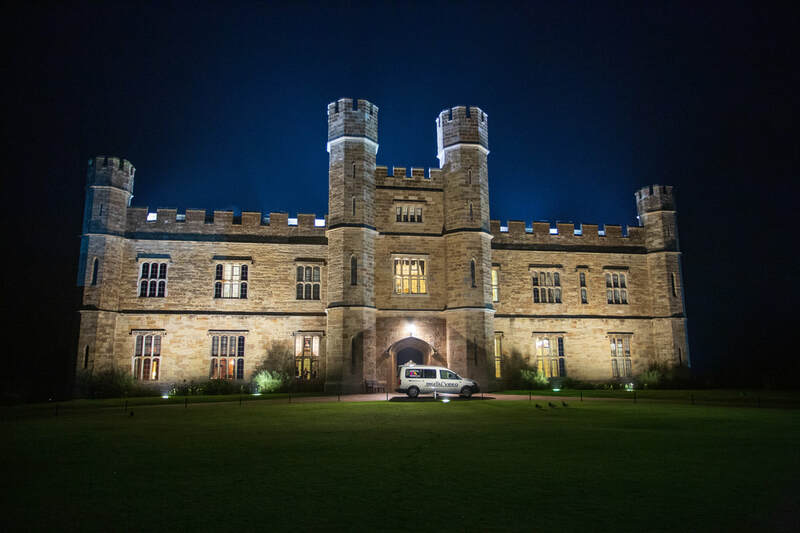 ​Leeds Castle, Eastwell Manor & The Orangery Maidstone. 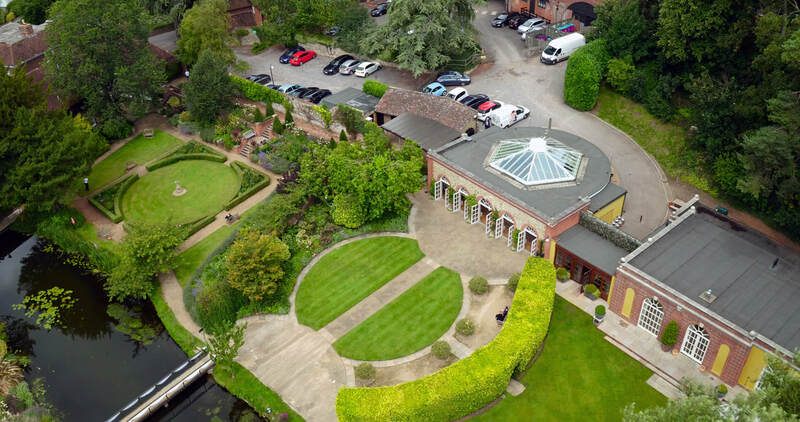 We offer new exciting video packages, including the latest "Must Have" at your wedding, Our Aerial Drone! Each option uses our highly skilled crew and quality equipment, all are very competitively priced! Our ALL IN Cinematic Experience! NEW! SAME DAY FOOTAGE AVAILABLE UNEDITED from just £399! 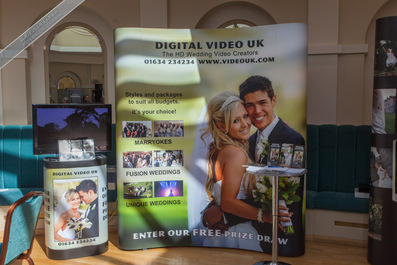 We had very high expectations of Digital Video as they had come highly recommended and they absolutely exceeded all of our expectations! From the moment we met with Mike to the day of the actual wedding we cannot thank them enough! Your team was amazing and kept me sane in the lead up to ceremony - especially as we were running so late. I cannot recommend or thank you guys enough! You did not disappoint and our video looks just beautiful! Dawn her Dad and I watched the wedding video on Christmas Day and we all thought it was fantastic. I cried all the way through it with emotion. It's good to see all the bits we miss and the drone camera shots were amazing. The music worked out well in the end seeing we hadn't got a clue at most of the time. This comment just in from Natalie, who nearly did not have a video. Hi Mike, The video was absolutely fantastic. We were not originally going to have a videographer, but we would seriously have missed out if we did not. Our friends have since realised the importance as well, capturing those special moments that you do not always get in a picture. It really shows how in love and how happy we were on the day. Was a fantastic added bonus for us to have and look back on in years to come. Thank you so much to Kelly. Amazing job! I showed my cousin and she said she did not even realise a videographer was there, showing how amazingly discreet she really was. Our Wedding Movie Packages at a glance! Include first dance for just £100 extra! ​Include first dance for just £100 extra! Two Videographers filming from Bridal Preps to First Dance in glorious 4K Ultra High Definition. Bridal Preps to first dance & many extras. ​everything taken care of = NO WORRIES! We Transfer to check, we will buy the music licence for home use. By Royal Mail "signed for" delivery or you can collect from the Studio. Unlimited HD copies of ALL of the above for your family and friends to stream or download to their computers or tablets, available for 6 months. Visit VIDEO FEE for the full details of what is included in each package. This is a promotional video showcasing the use of our aerial drone when used in our Premium Wedding Movies. 17 May at 21:21 · Highly recommend!! Mike and Kelly filmed our wedding day on the 14th April. We love the videos you created for us alongside the full dvd. We received a 60 second highlight, a 15 min highlight video, guest messages (which were a lovely surprise for us!) and a lovely video of us walking around the beautiful grounds of The Orangery. The quality of the videos are amazing. We hardly even noticed that the videographers were there but yet they caught every special moment so perfect. At this wedding, the couple choose to add a 3rd camera, this shot shows the benefit of the extra video camera. What will your Guests say or do? Comments from Your Guests, our Video Message booth without the booth! Available with all of our packages, we give your Guests the chance to shine, they can leave a message, tell a joke, give their thanks or even sing a song. You will be amazed and surprised! Many Brides have asked Can you hear the Vows in a Church wedding, I have put my own spin on the vows, but only in the highlights, they are "as said" in the actual wedding DVD. At Eastwell Manor we used the camera crane to get some interesting shots of the Bride and Grooms arrival and during the speeches, we were able to follow the guest speakers without otherwise moving, ideal when space is limited. Thank you for the copy of your demo DVD. I must say it was very impressive. I will keep it for my records and will definitely consider you once we have booked our venue in the New Year. Wedding Breakfast entrance, the Greek way! 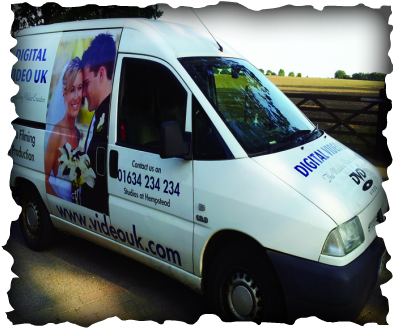 You can now view your wedding highlights movie on your iPAD in HD without any extra charge, ideal to view on the move and to show the Guys at work. Just request an iPAD version when booking. You can now view your wedding highlights movie on your Android in HD without any extra charge, ideal to view on the move and to show the Guys at work. Just request an Android version when booking. We have a new camera crane to enable us to be able to get those fantastic floating shots seen in major films and television shows, it really will give your wedding or event the WOW factor, imagine the impact it will have on your movie. Much more unobtrusive than it seems, there will be no cameraman or photographer in the way for many of the shots, there are so many options and ways to use it, imagine walking below as confetti is thrown all around you, fantastic. Available with our Cinematic Package.